View from my BED in the hostel! After a few days in a huge hostel with young backpackers, drinking beers and exchanging adventure tales I moved to a hostel in the city center that I could use as a home base to apartment shop. This is the most different crowd of hostel guests I’ve ever experienced in my life. I am by far the youngest person here, most range from their late 30’s to 50’s. 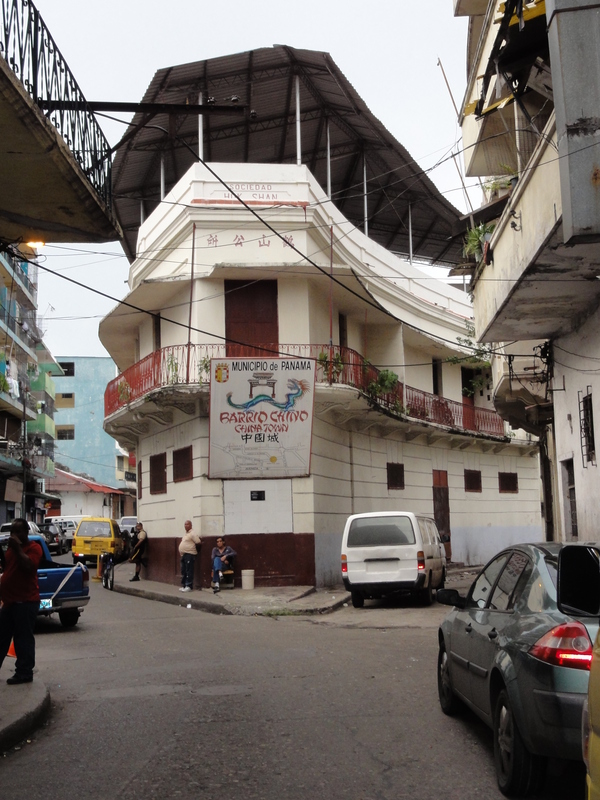 This is quite a change as my last hostel was extremely social and easy to make friends. It was fairly party oriented and even came with two girls, one from Moldova (old Russian Republic) and Switzerland who insisted on prancing around in their underwear whenever I was in the room (which I couldn’t complain about). Now I feel like I’m staying in someone’s house, there is an extremely sweet older Panamanian women who runs the hostel, calls herself my mom, cooks me breakfast every morning and just generally looks out for my well being. The majority of the guests have been staying here for the better part of a few months and call themselves a family. Let me lay out this cast of misfit characters. The main man is a 49 year old from New Zealand who is here to sell machines that convert trash into fertilizer. He’s a lifelong traveler who genuinely cares about the well-being of everyone and the earth in general. Next we’ve got 2 Venezuelans who fled their country from the ugly rule of Chavez and violence in Caracas (capital of Venezuela). Honestly I had no idea about the situation currently going on in their country which is probably due to the fact that Chavez controls all media about his country with an iron fist. Just a few weekends back their were 40 murders in one weekend in the capital and literally people are dieing by the thousands monthly from corrupt police and people in desperate situations. One guy had his life savings in a Venezuelan bank that Chavez just took over so he is unable to access any of his money and no clue how or when he will be able to again. They were complaining that its international news when 5 American soldiers die from a car bomb in Afghanistan yet their people are dying regularly and no one cares? These guys seem to have nothing, but they are so nice, they spend a few hours everyday just trying to teach me Spanish. One of the guys named Luis speaks the best English and my main teacher, but he has a tough time getting along with people as his face is horribly disfigured. He had a brain tumor at age thirteen that pushed his eye out in a crazy direction and genuinely looks like Frankenstein. Despite his condition he managed to lock down an absolutely gorgeous Venezuelan wife and produce a handful of great looking children. He’s currently working as a night watchmen at the hostel to keep his family afloat in Venezuela. 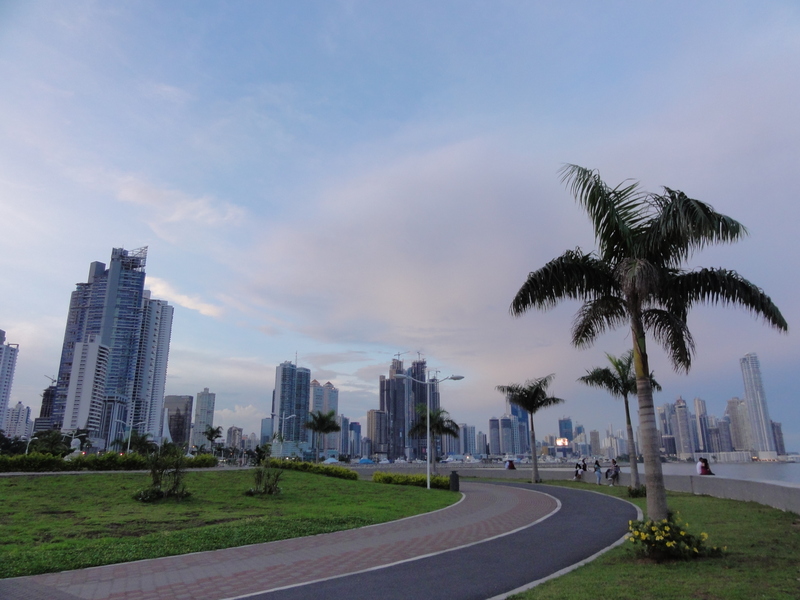 The New Zealander seems to love Panama City more than anything else in the world and gave me a fantastic full day walking tour of the city. Honestly I have never seen such diversity in a city in my entire life. This is the only place on earth where you could see a Panamanian Banker in a suit sharing a taxi with an old local native from the Kuna tribe dressed in traditional clothing. 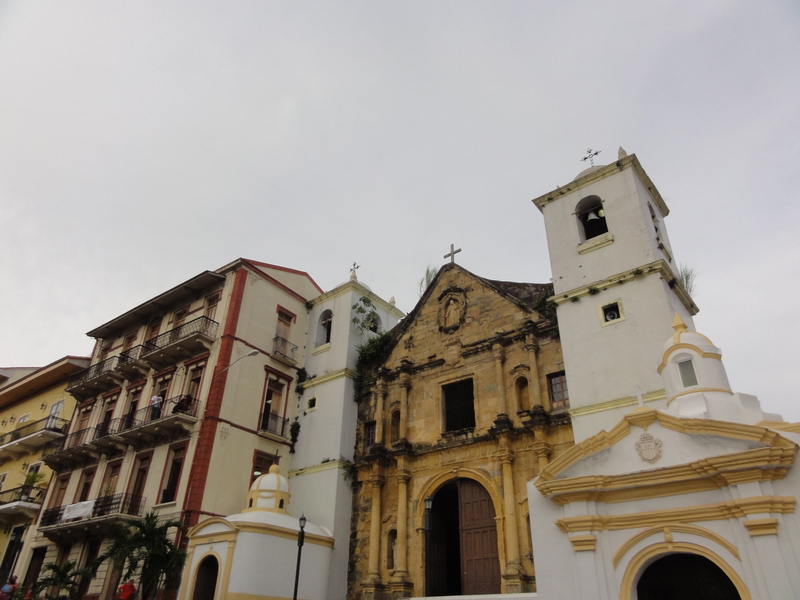 In a short time you can literally walk through a traditional loud, dirty and rundown Central American Capital, an authentic Chinatown, a Spanish Colonial European Village and a modern skyscraper city looking like Miami within the course of a few hours. 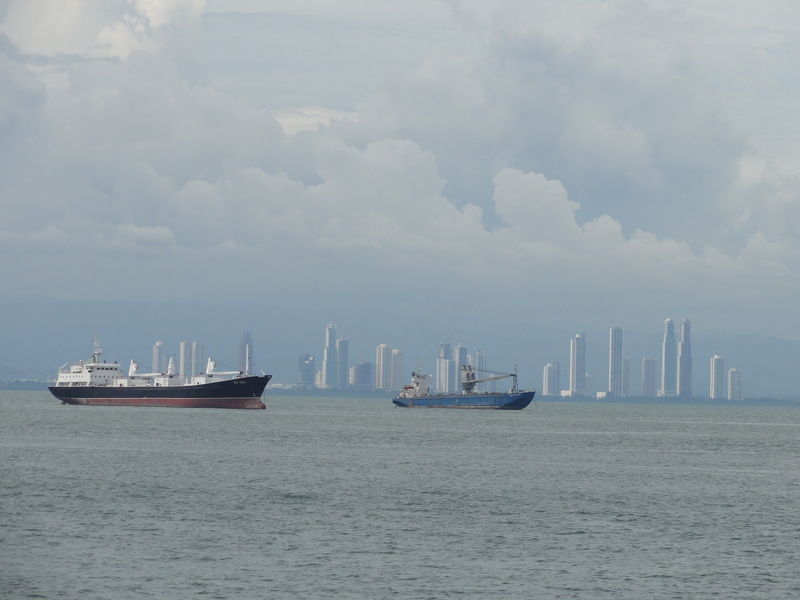 Just the view from Panama Bay is almost unreal it feels like the Atlantic Ocean disappeared and Miami now sits directly across from Spain. It’s hard not to become completely absorbed by the city’s greatness especially when your tour guide genuinely never wants to leave this crazy place. Later that night we all went to one of the huge Vegas style Casino’s. None of the “family” were gamblers, but the Venezuelan dude’s wanted to go look at all the gorgeous women walking around and the New Zealander had his own agenda. I’ve literally never seen a higher density of beautiful women in a single building anywhere on earth and was quite bewildered as nearly every one was desperately trying to make eye contact with me and chat. To my dismay, it wasn’t my American charm radiating through the casino as literally every women in the casino is a Colombian prostitute. The New Zealander kept sending off the Venezuelans on little missions to check out different parts of the casino. Wanting to be a part of this secret mission I inquired to the reasons behind these strange spy-like activities. The New Zealander told me a tale of his Panamanian stock broker who he’d been using for 10 years. He and a group had recently pooled a large fund for an international investment and the broker had coincidentally disappeared off the grid shortly after. The New Zealand government and this guy had been tipped off that the guy was frequenting casinos in Panama City and the kiwi had come to do surveillance on the man. As he was a familiar face he had been using his Venezuelans to wander the tables of the casino in search of this man so he wouldn’t be discovered. He had also befriended a number of dealers and security in the building and was keeping a steady watch on the man. As I found myself peeking into the VIP poker lounge, I thought myself, “What would Jason Bourne do in this situation” and then began to laugh at the absurdity of my new life. Who were these strange people that were calling themselves my family and what had I gotten myself into!?? I kept inquiring what the kiwi would do if he ran into the man he pursued to which he would answer that he would “lift his passport” as evidence to the New Zealand government that he was in Panama and so that he couldn’t flee the country. Not sure how “lifting a passport” goes down, I was thankful I did not have to play witness to anything of this nature when I finally made my way back to my temporary, makeshift home in the hostel. It wasn’t how I expected to spend my first Saturday night in Panama, but it was a crazy little mission and the most like James Bond I’ve ever felt in my entire life!! 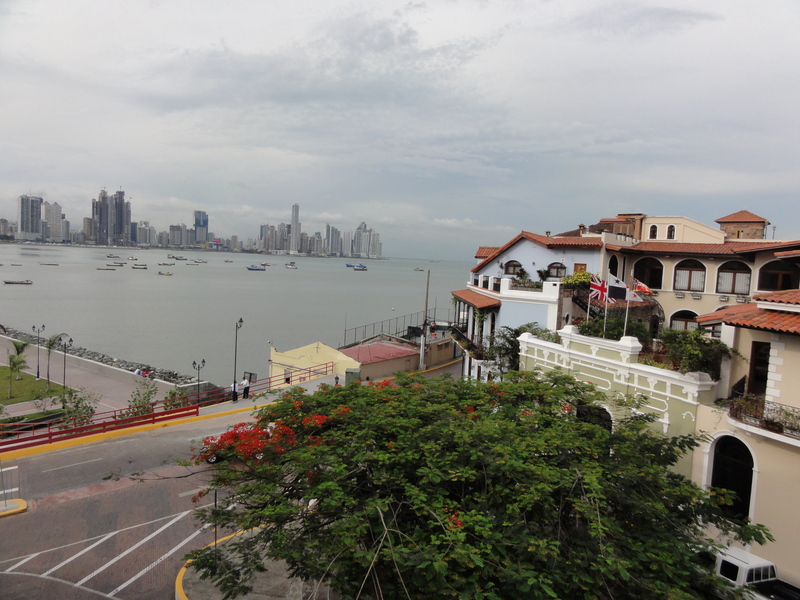 This entry was posted in Panama and tagged Adventure, James Bond, Panama, Panama Canal, Panama City, Travel, Venezuela by verenico. Bookmark the permalink.